Tsutomu Nihei talks about being approached by Marvel comics in what led to his involvement in Snikt and playing Halo when he should be working. 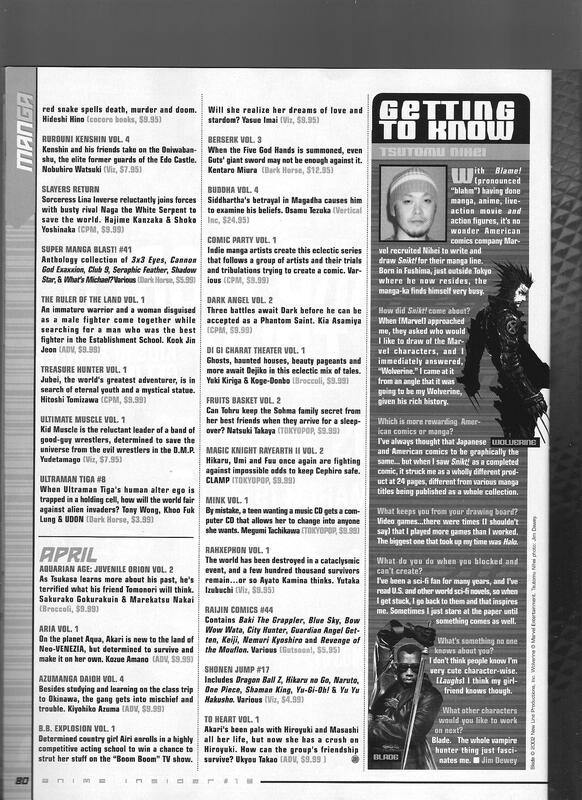 This entry was posted in Old Magazine Articles and tagged Borderline Plagarism for the Freedom of Information, Manga, Tsutomu Nihei, Wolverine by torisunanohokori. Bookmark the permalink.